We hit another weather milestone today. The back yard temperature reached almost 60 degrees. Chris had several friends over and they decided to put on their swim suits and hung out on the patio! It was spring break for Brontae so they imagined the snow in the back yard was white sand and they were on the beach in Mexico. Even though it was March they were able to get some sun and they even had some color. Following a long winter, we were all in a happy summer mood and I wanted to have a glass of wine while hanging out on the deck later that day. 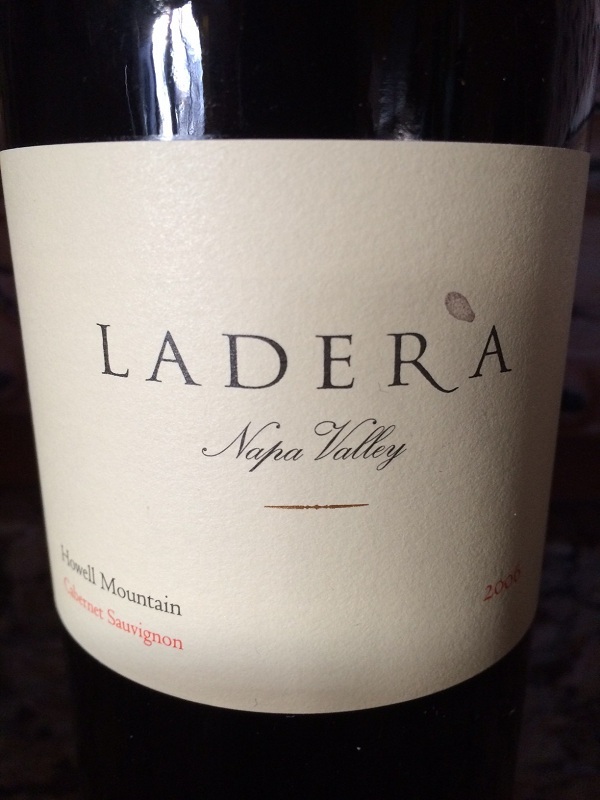 After pulling bottles I decided on a bottle of Ladera. Deep color depth and the hue was purple. 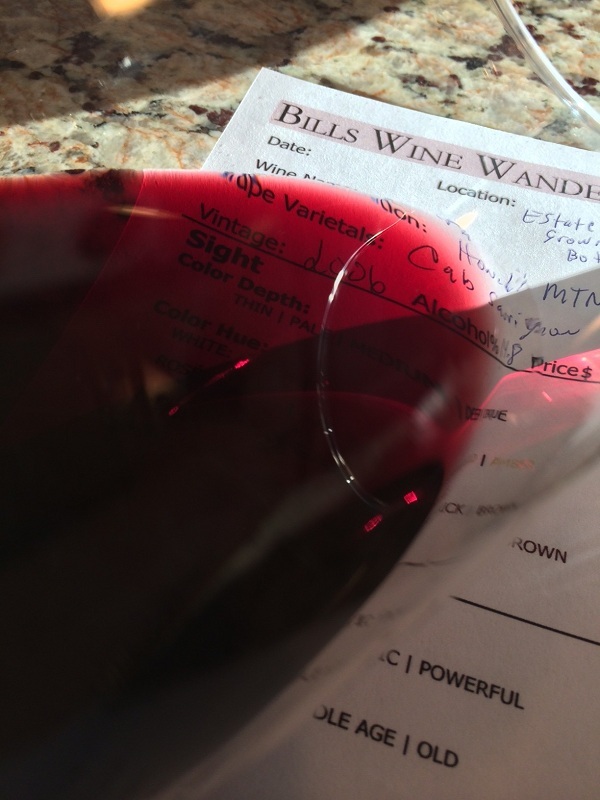 The Cabernet was aromatic and young-fruity. I could smell bing cherry, vanilla, spice, and oak. It was slightly dry, full-bodied and the acidity was balanced with medium and slightly astringent tannins on the sides and mid palate with a soft long finish. Notes: The Howell Mountain Cabernet Sauvignon is 100% Estate grown and bottled. How much: $100 (a little high I think). I rated the 2006 Ladera Howell Mountain Cabernet Sauvignon four glasses.